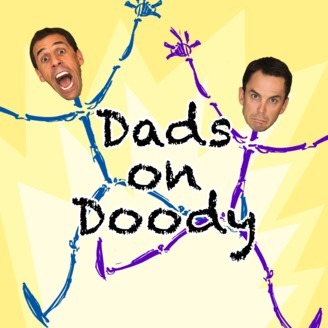 “Dads on Doody” is a parenting podcast, delivered from the dad’s perspective. We don’t claim to be experts, but we’re not afraid to express our opinions on any range of topics. As proud papas of three kids each, our goal is to share what we’ve learned from our parenting experiences for our listeners’ benefit and hopefully provide some laughs along the way. 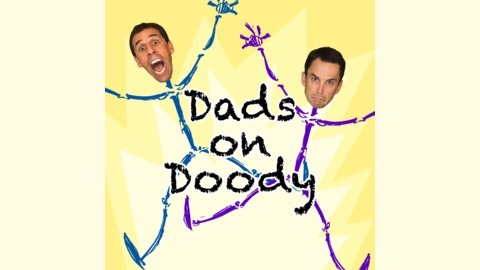 Check us out on our website: www.dadsondoody.com. Given that yoga participation in the United States is roughly 80/20 (female/male), what would happen if four men gathered in a small room to discuss its merits for an hour? Would the yoga universe tilt from an abnormal balance of testosterone? If you've always wondered about this very scenario, your wait is over! Male yoga teachers Michael Wilde (aka the "Namaste Nerd") and Jeffrey Cattan join Will and Chris in studio to talk yoga shop. We all know that Yoga is Super Manly, so why don't more men get their pretzel on? Maybe they don't know the different varietals? Perhaps the loud "oms" coming from the yoga room at the gym scare them away? It could also be that most men believe that they aren't flexible. Good news! It turns out that in yoga "flexibility" is only a state of mind. If you can breath, you can do yoga. The "oms" may take longer to accept. If this episode doesn't peak your interest to assume downward dog, you'll come away with some wisdom regardless. Apply Michael and Jeff's yogic ways of thinking, and things like parenting, traffic, and elections might be easier to stomach moving forward. Namaste!